Producing the perfect event takes meticulous planning and tireless work. Every day is a negotiation. You’re asking things of people and others are asking things of you. With such continuous bartering of time, ideas, favors, and money, how do you guarantee that you actually get what you want? One word: stubbornness. Throughout the event process, there are plenty of opportunities to cut corners. But to actualize on the vision you have in mind, compromising event quality cannot be an option. Consider for a moment the other people, groups, and companies involved in making your event happen. Are your event partners as committed to your vision as you would hope? If given the opportunity, some may take a shortcut here, or let a few details slip there. This is why it is of the utmost importance to clearly communicate your standards and ensure that your event partners make them their own. This is the time to let your stubbornness flag fly high. There’s always a place in event planning for compromise, but standards is not among them. You demand the best from yourself; don’t settle for less from those around you. As a seasoned professional, you’ve built a personal brand and vision based on hard work and experience. Think of your next event as an exercise in protecting what you’ve built. 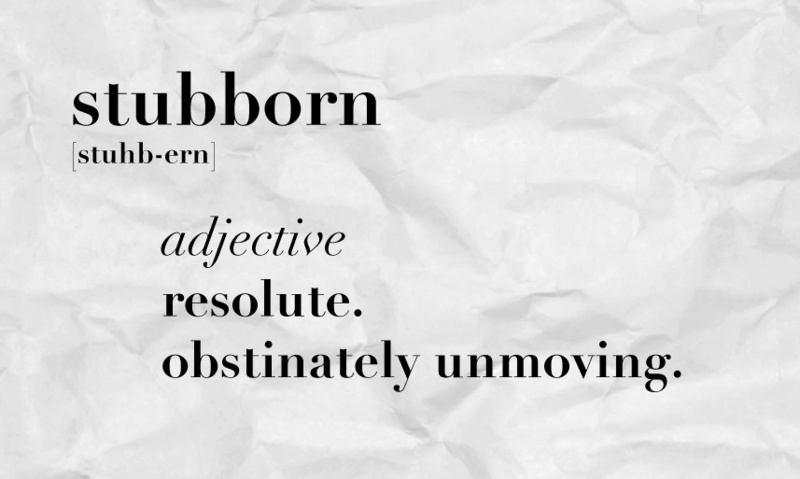 Being stubborn doesn’t have to be seen as a negative. Just ask your thesaurus. Actually, don’t. Perhaps we should just use our imaginations to view the word stubborn with our event industry-shaded glasses. Our definition of stubbornness? Focused, relentless, and firm. This is not to say that you should never be flexible. None of us wants to expel energy fighting a losing battle. But as you tally up your perceived wins and losses, the stubbornness in you will ensure that the former greatly outnumbers the latter. So be stubborn, and proudly so. When the final guest leaves and the last hors d’oeuvres are doggie-bagged, it will be said of you that you worked relentlessly toward accomplishing the goal of producing a killer event.